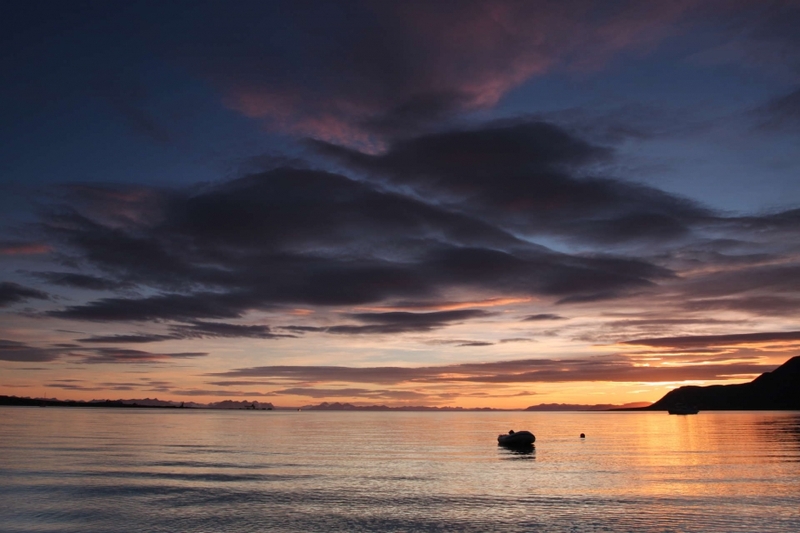 Enjoy a wondrous expedition cruise around the striking islands of Svalbard, a world of endless Summer daylight. Cruise striking fjords, walled by cliffs overcrowded with sea birds, and polar bears and arctic fox roam the shoreline. 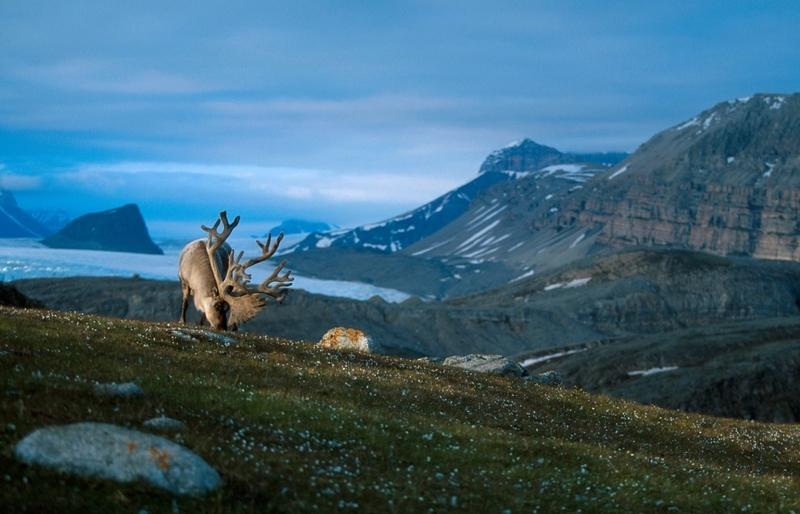 Explore historic whaling stations and wander a tundra ablaze with wild flowers, where reindeer wander freely. The whole experience is accompanied by the finest expedition guides, all handpicked for their expertise, enthusiasm and passion for passing on their knowledge of the arctic wilds. 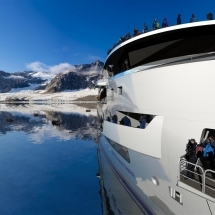 Add in the opportunity to travel on the newest ship to explore the arctic and this is a journey not to be missed. 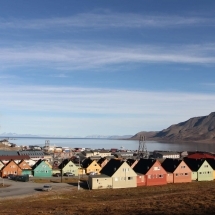 Arrive in Longyearbyen, where you will be met and taken on a sightseeing tour to explore the remote outskirts and ‘Capital’ of Spitsbergen, including a stop at the local museum. After the tour you will be transferred to the port in the late afternoon to embark the Greg Mortimer, your home for the next 10 days. You’ll have time to settle into your cabin prior to the important pre-departure briefings. Your voyage commences, cruising out of the beautiful Isfjorden, find a spot on one of the observation areas watching for seabirds, including graceful ivory gulls, kittiwakes and guillemots. 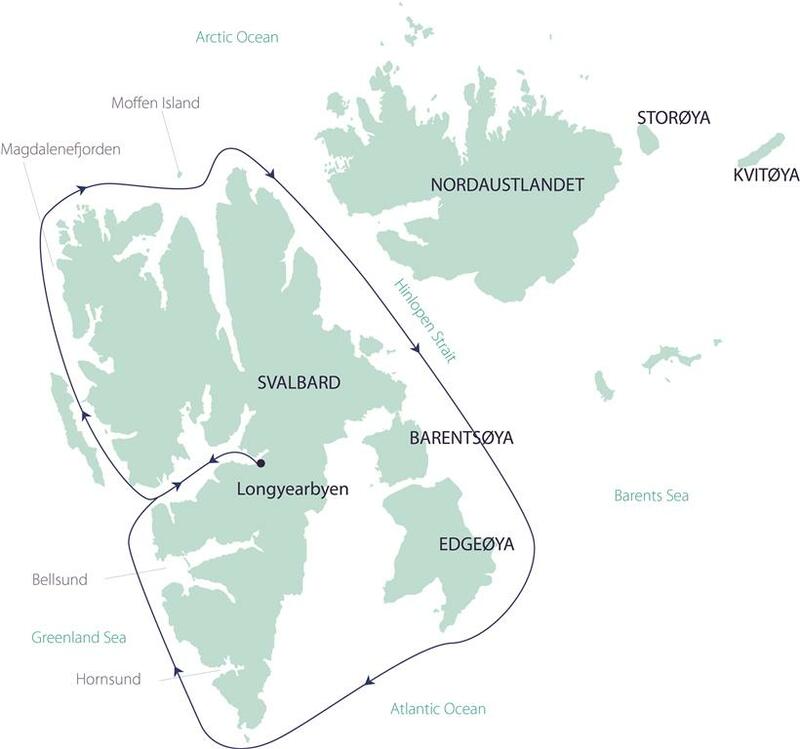 You cruise northwards along the west coast of Spitsbergen, stopping at intriguing places like Kongsfjorden or Magdalenefjorden. Kongsfjorden (Kings Bay) is incredibly scenic, the fjord is headed by two giant glaciers.There’s ample time ashore for hiking on the lush tundra amongst the summer flowers and observing the remarkable bird cliffs near the 14th July Glacier.As you explore keep watch for polar bears and Arctic fox and feel a sense of history at the 350-year-old remains of a Dutch whaling settlement, Smeerenberg on Amsterdamøya. The name Smeerenberg literally means blubber town in Dutch. A further day exploring this fascinating region. 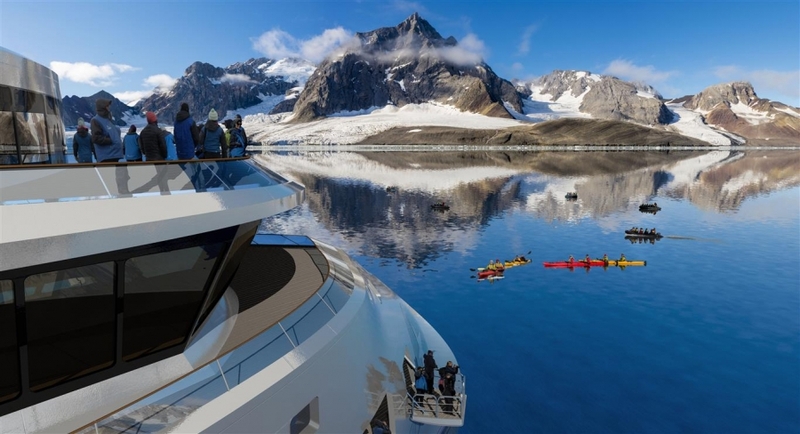 As you cruise your way along the north coast there are opportunities to explore rarely-visited places such as Woodfjorden and Leifdefjorden in search of the mighty polar bear. 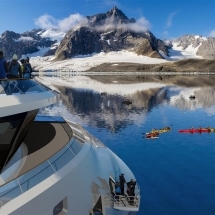 From Zodiacs you can enjoy magnificent views of sweeping glaciers winding their way into the sea. 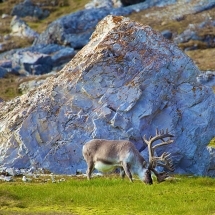 You may walk on smooth raised beach terraces to a superb viewpoint or hike in the mountains on the tundra where pretty coloured wildflowers and lichen grow and where reindeer graze. 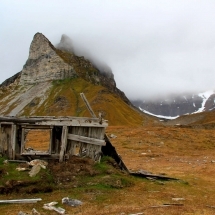 You may visit trapper huts of yesteryear where Russians and Pomors would hunt and survive the cold harsh winters, all while remaining alert for wandering polar bears and their cubs. As you cruise through the frigid seas the ship might come face-to-face with the formidable pack ice of the Arctic Ocean, remember to keep your eyes peeled for walrus feeding on clams or hauled out on the beach in wallows. If conditions allow, you may push north into the pack ice in hopes of finding polar bears ranging over the frozen landscape on the hunt for seals. 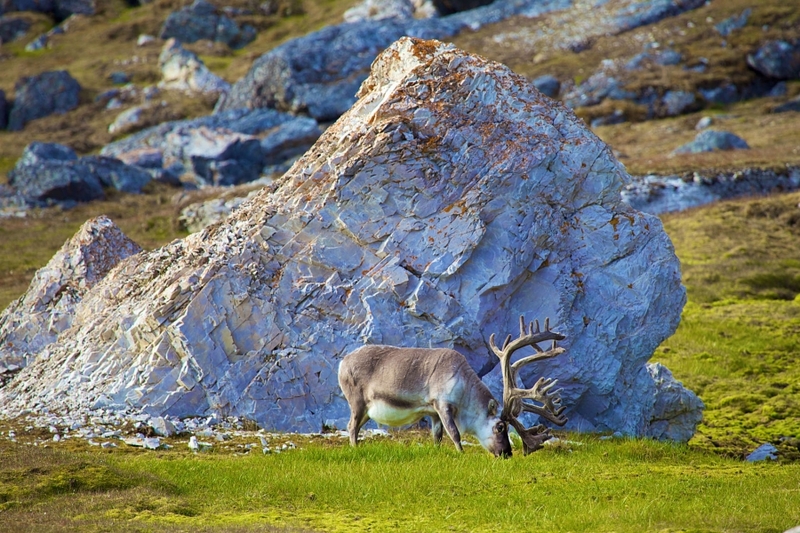 Explore this lush land of Arctic wildlife, hidden coves and magnificent icebergs. 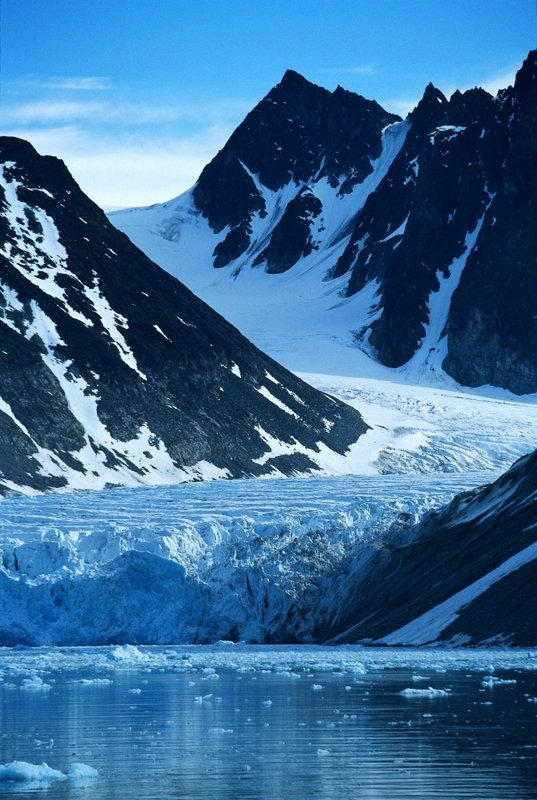 Along the northeast coast of Spitsbergen your adventure enters a different world – a polar desert. 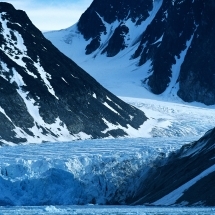 If ice conditions allow the ship will pass south through the narrow Hinlopen Strait. The strait is flanked by creamy coloured slabs of rock that are rich in fossils, as you will discover for yourself when we go ashore. You may visit Alkefjellet in the Strait, where a series of one-hundred-metre-high dolerite towers are home to nearly a million nesting Brünnich’s guillemots – the penguins of the north – that occupy every available nook and cranny. 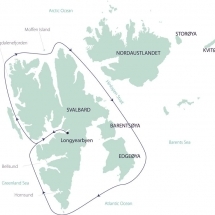 As the Greg Mortimer passes between Spitsbergen and the smaller islands of Barentsøya and Edgeøya, we cross a major polar bear migration route and the beautiful fertile plains of Sundeneset. Join your guide and explore this beautiful terrain on foot, marvelling at the contrast between the colourful soft ground and the barren, rocky terrain from further north. Don't forget your camera, you never know what you are going to see on your travels each day. If the weather is kind, maybe join one of the kayak trips and silently cruise through gentle coves on the look out for seals and other wildlife on the shoreline. 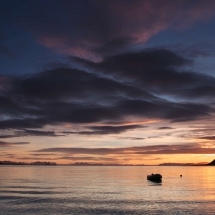 Marvel at the spectacular Hornsund Fjord, as you cruise gently through its waters. 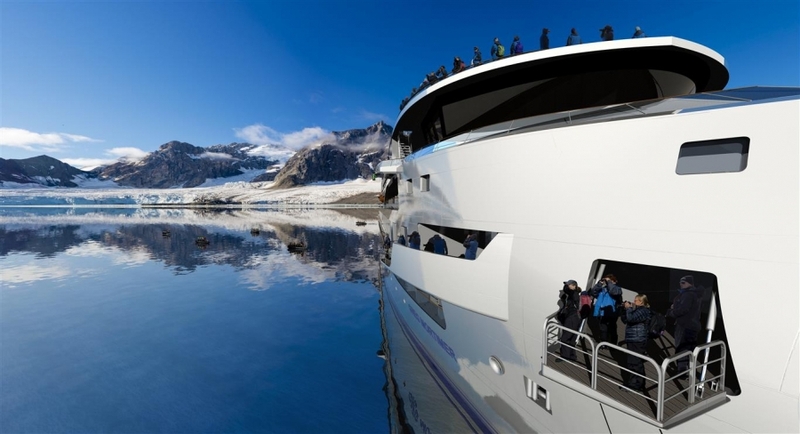 Here you can take an early morning Zodiac cruise to admire the beautiful ice walls of the Samarin Glacier or take a stroll beneath the towering seabird cliffs at Sofiebogen. In Bellsund Fjord be on the lookout for beluga, or white whales and take a visit to the remnants of a Norwegian beluga whaling station from the 1930s. 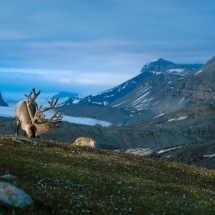 Across the fjord at Vårsolbukta is a lush and stunning landscape, where reindeer roam, Arctic flowers bloom in abundance and Arctic fox may be seen on the hunt for food. 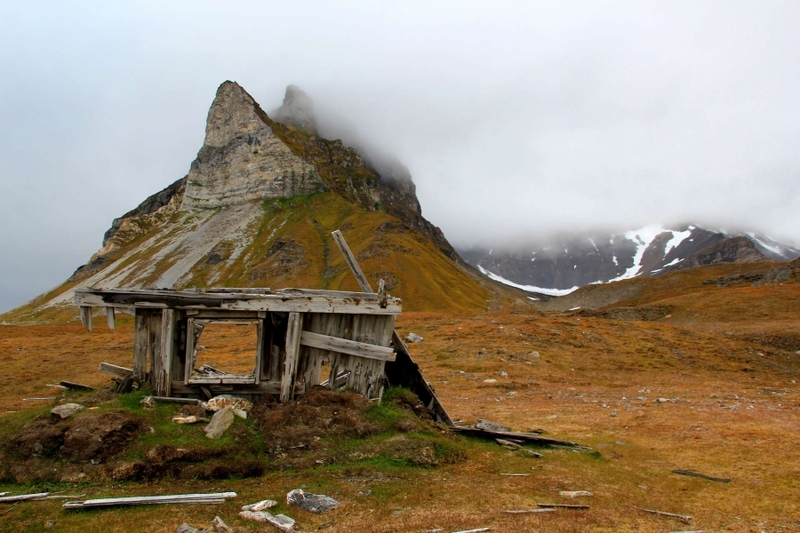 Your last exciting day of discovery in the Southwest fjords of Spitsbergen. 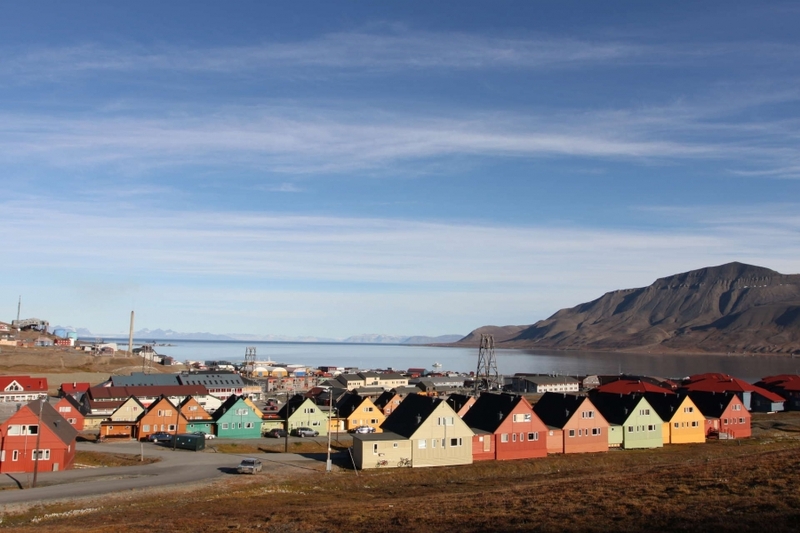 During the early morning you cruise back into Longyearbyen. Time to say a fond farewell to your expedition team and fellow expeditioners. A transfer is included into town, where there is free time before an onward transfer to the airport in the afternoon.